A long-lasting nature– Corrosion causes easy damage to construction material and reduces its lifespan, but it has a negligible impact on structural steel. A combination of barrier coating over steel will further help with durability. The strength of this metal makes construction better in withstanding disasters and natural calamities. High load bearing capacity– Steel is a lightweight metal in itself. This gives an added advantage to it, as there is no self-weight that it has to bear. This, along with a high bearing capacity makes it suitable for constructions involving heavy loads. It is most suitable for roads, bridges and towering buildings. Affordability– The amount of money one invests in construction is significantly larger when steel is not used. Other materials require mortar, machines and a large amount of labor. Construction with steel is affordable to all, the lack of mortar or binding material further reduces the expense of machinery and labor. Its durability ensures negligible maintenance cost. The chance to innovate– Building materials can sometimes cause hindrance to design. The material might not have the required characteristics for a certain type of construction. This has kept architecture restricted for long, but not anymore. Structural steel has the flexibility and strength that helps in innovative constructions. The dexterous characteristic of this metal has given the opportunity for architects to think outside the box. Eco-friendly– Being ecologically responsible is a duty that should not be neglected. The discarded construction materials cause large amounts of waste which cannot be recycled. The residue can lead to health hazards and irreversible damage to both humans and animals. It takes the very least amount of energy to manufacture steel and it is recyclable. There are no unwanted or harmful consequences of using steel. Hassle-free– Construction with steel is a trouble free process when compared to the rest. Steel does not need any binder or foundation. It can be erected and handled effortlessly which speeds up the completion of projects. These increase the work productivity drastically. Structural steel detailing is important for architects, as it is a practical ploy for efficient due. It can easily be transported from one place to another. Unlike other materials working with steel poses no threat to the labor while construction. 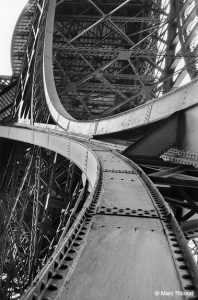 The sturdiness of steel gives the architect the liberty to be creative with design and use it in combination with anything. In conclusion, structural steel along with Tekla structures is the most reliable and unequaled construction material of today.